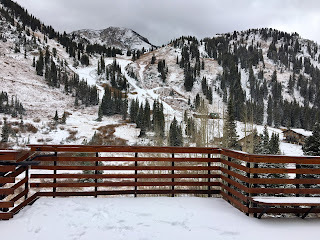 Is it really that close to ski season? We’re feeling like it is at the Lodge with fresh snow this morning and some more on the docket for tomorrow. As you can see from the photo, the trees have now lost their leaves and the colder weather is keeping the snow we’ve received so far. 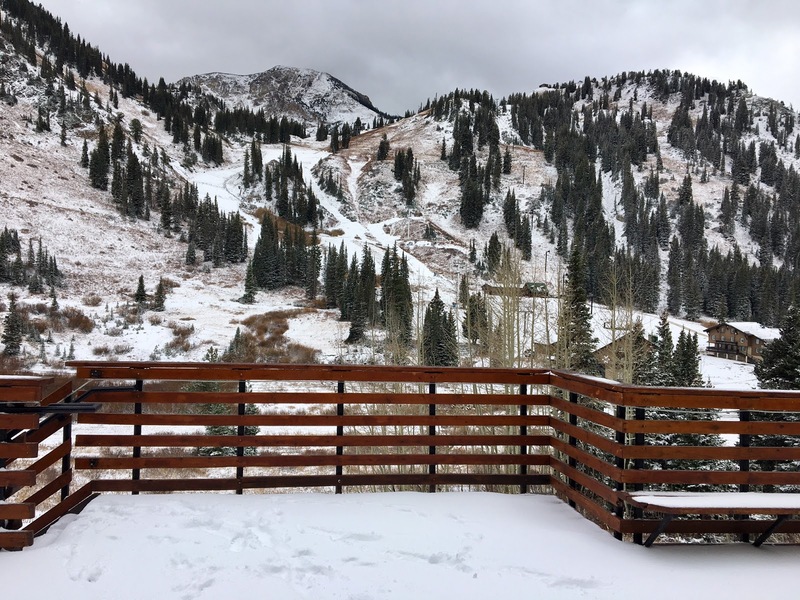 Alta is scheduled to open on November 18 so there is still time to do some early season training, locate your ski gear and get your boards waxed for the big day. Ski films are a fun way to get pumped up–check out your local events calendar for listings. In addition to that, if you are in Utah, the University of Utah Marriot Library’s Ski Affair is an annual fundraising event for the ski archives collection at the library. Guests attend a reception and silent auction, followed by a buffet dinner and recognition of honorees who helped to make Utah a thriving world-class winter sports and recreation capital. The November 1 event is at Little America in Salt Lake City. Tickets and information are available here. Alta friends in New York City have a rare opportunity to attend a Friends of Alta benefit at the Explorers Club on November 15. The event is from 6:00-8:30 pm. There will be presentations on Friends of Alta’s work, an open bar, hors d’oeuvres, a silent auction and plenty of time to mingle and reminisce. Tickets and information are available here. Thanksgiving plans? We’ve got our annual Kids Stay/Eat for Free if you book a four night minimum stay over Thanksgiving weekend. Details are available here.